DebateIsland is a leading debate website with a large and civil community passionately debating topics ranging from Technology to Politics and anything in between. The mission of our Debate Website is to provide the best online debate experience. DebateIsland is actively developed unlike competing debate websites. The website has a mobile-friendly and responsive design that enables you to debate online anywhere, anytime, with anyone. The DebateIsland.com platform offers 5 online debate formats, “Casual Debate”, “Lincoln Douglas Debate”, “Formal 1-1 Debate”, "Persuade Me Debate", and “Formalish Debate”. DebateIsland’s Debra AI (Artficial Intelligence) helps to analyze various aspects of your debates, predict debate winners, and ensure civil debating behavior. DebateIsland has an updated news feeds that make it efficient for you to debate news and current events directly on the debate website. You can initiate or accept debate challenges, participate in different debate formats, or compete in online debate tournaments. DebateIsland.com has many active online debate Communities - places where users from just about everywhere come to civilly debate topics. The Communities can be public or private and are moderated by prequaliﬁed user/users. We provide excellent customer service if you ever need any help and we are open to suggestions and feedback. Our debate website is free, and best of all committed to providing you the Best Online Debate experience. DebateIsland.com was established on August 30, 2016 and is privately owned. The DebateIsland.com community is friendly and civil. We have multiple technologies in place to maintain civility and remove spam, trolls, etc. The computerized spam system keeps all spam and bots away from our debate website. Our Debra Artficial Intelligence helps with identifying toxic comments and helps to determine argument quality. DebateIsland's exclusive "Mute" functionality allows users to filter other users in a simple way. DebateIsland is also user-moderated and utilizes a user flagging system. We take moderation seriously, and carefully monitor the website and promptly take actions. These are just some of our methods to keep DebateIsland civil. We're proud to say that our debate website is troll free. Here are some Debating Tips. Our exclusive ways to Debate Online enables DebateIslanders to express their opinions through multiple Online Debating formats. Casual Debating - Debate with an unlimited amount of users with no time limits and no rounds. Formalish Debating - Debate with an unlimited amount of users for a certain number of rounds (1-3) and given time per round (15 minute Blitz - 48 hours per round). After the rounds are completed, users who didn't participate in the Debate can vote (24 hour voting period) for a winner. Formal (Traditional And Lincoln-Douglas) - Debate with one other user (1 vs 1) during 1-3 rounds and a certain time per round (15 minute blitz - 48 hours per round). After the rounds are completed, users who didn't participate in the Debate can vote (24 hour voting period) for a winner. Our amazing mobile friendly and responsive design, functionality, and great customer service allows you to receive the best online Debate experience possible. Our Debate platform is actively developed and constantly releasing new updates. You won't have to wait minutes for our pages to load - milliseconds is always our goal. DebateIsland is extremely fast, on all devices. We're promoting the DebateIsland.com lifestyle. 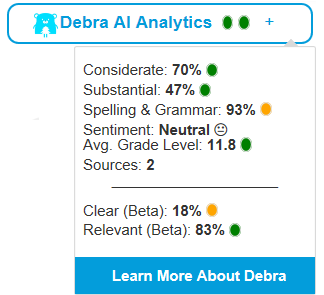 Our exclusive Artificial Intelligence (AI), named Debra, helps to analyze various aspects of your online debates, arguments, predict debate winners, create user analytics, and ensure civil behavior. We are excited to be pioneers of the AI-Human partnership to create a fantastic online debating experience. Debate news on DebateIsland.com! DebateIsland recieves updated news feeds from many news outlets and displays news stories from different categories including breaking news stories. You can click "Debate now" to create a Debate on DebateIsland.com based on the news story you selected. Is this debate website for me if I am in college, high school, or middle school debate club or league? Absolutely. We created this debate website to help to augment your formal offine debating with online experience. There are formal online debate formats you will particularly enjoy, including one-one traditional debates, one-one Lincoln Douglas Debates, or maybe Formalish multi-user debates... You may challenge other DebateIsland users to a Formal debate, invite members of your debate club to debate with you, share your debates in social media, or check out debates in recent resolutions you are practicing in your debate club. You can also participate in our online debate tournaments to showcase your debating skills. Are there considerations how to best structure and win formal online debates? 1) Understand your ground - meaning what arguments are available to you and your opponents based on specific resolution. 2) Understand and clarify who has Burden of Proof (BOP). It's typically Pro, but for some debates it's Con. 3) Choose a debate topic (a.k.a resolution) that is fair, balanced, and grounded. Some debate topics are much easier to debate with a certain position, which gives an unfair advantage to one of the opponents. 4) Ideally pick a debate topic that you know well or can easily research. High quality debates require access to facts. 5) Include any special debate rules and terms definitions as part of your debate. It's important to set clarity on your definitions upfront. 6) Structure your rounds in a way that makes sense. Round 1 is optionally reserved for acceptance, followed by Pro Case, Con Case, Rebuttals, and summary in subsequent rounds. 7) Don't introduce new arguments in the final round, as that's considered bad debating conduct. 8) Use quality sources. It's not quantity of sources, but quality that matters. Your opponent and judges can hold poor sources against you. 9) Avoid logical fallacies in your arguments. 10) Don't use ad hominem - attack an argument, not a person. Is this debate website for me if I am not a formal debater? Absolutely. If you love to debate online in a constructive way then this debate website is perfect for you. You may enjoy our casual debate format, persuade me format, or one-one traditional debate. I hear that this debate website is using Artiﬁcial Intelligence, what is that all about? Yes. DebateIsland.com pioneered in the online debating and online forum industry to leverage Artificial Intelligence and Natural Language recognition. We don't believe that Artificial Intelligence will replace human debating anytime soon, but believe that it augments our debating experience and helps us in many ways. Debra A.I. is Our debate website Artificial intelligence. 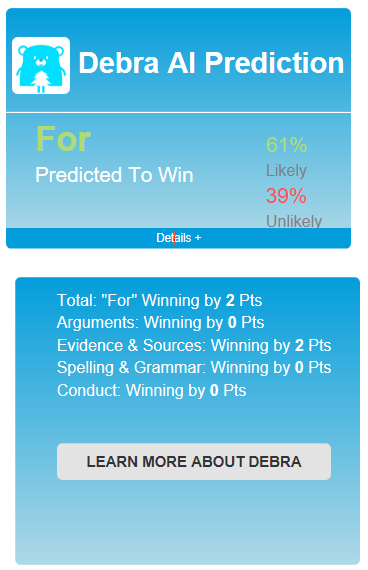 Debra utilizes a combination of APIs, Open Source, and proprietary algorithms to compute in-depth analytics for arguments, user analytics (averages of the user’s argument analytical scores), and to predict the winner of debates! Debra A.I. also carefully monitors toxicity levels of user arguments, to ensure a friendly online debating environment. With every argument and user interaction, Debra automatically optimizes its capability and trains itself to become smarter. Debra A.I. has changed the website's Debating experience for the better. Currently, we are the only debate website to integrate Artificial Intelligence into the debate user experience. A.I. assists users. It doesn't replace their interactions with our debate website. Artificial intelligence can help to make tasks and activities easier. For example, instead of replacing user voting privileges, Debra A.I. predicts the outcome of a debate and models DebateIsland's voting system. In the future, people may be able to debate online against Debra, become better debate through A.I., coaching and much more. How this debate website better than other debate websites out there? 1) DebateIsland offers the most flexibility with unique online debate formats - ranging from formal to casual. You are not limited with just one-one debates that often get forfeited on some of our competitor debate websites. We are the only debate website that has Persuade Me debate format. Our proprietary online debate formats are simple and engaging. 2) Active civil debater community - we pride ourselves in ensuring that your online debate experience will be respectful, unlike other debate websites where you may get attacked and will find objectionable content. 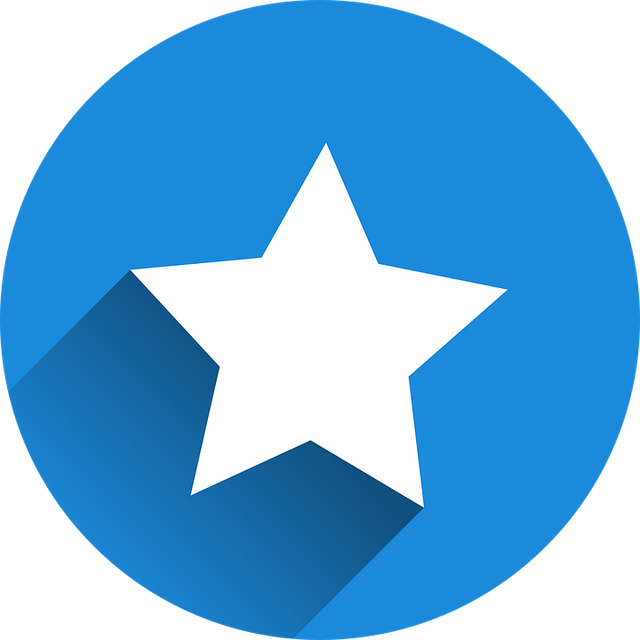 You will find that top users and moderators from other top competing debate websites actively debate on our debate website instead. 3) We value your privacy, and you may choose to remain anonymous on this debate website. 4) User experience on this debate website is fast and seamless on desktops, tablets, and mobile devices. 5) We are the only debate website that pioneered Artificial Intelligence, Natural Language Recognition, and Machine learning to augment your online debate experience. 6) We offer you great content to debate online. You may debate news, participate in online debate tournaments, engage in hot debates, or create a debate challenge of your own. 7) We offer you the most flexibility to react to arguments. You may choose to post counterpoints, use one-click debate reactions, submit your view via a poll, or provide a formal vote. You are in control of you debate experience. 8) Our debate website is actively developed, with new features added weekly. 9) You get debate website Plus social experience, where you are able to connect, message, and interact with other DebateIslanders to be part of our community. 10) You can create and moderate your own community on our debate website. That's perfect for debate clubs or those with passion about specific topics. Your community can be public or private. Why do people want to debate online and why do I need a debate website, can't I just debate on Facebook or Twitter? Naturally, we want to feel assured, comfortable, and safe. The Internet provides a safe-haven for debaters and just about anyone who uses it. Most discussion forums and debate websites provide their users anonymity. 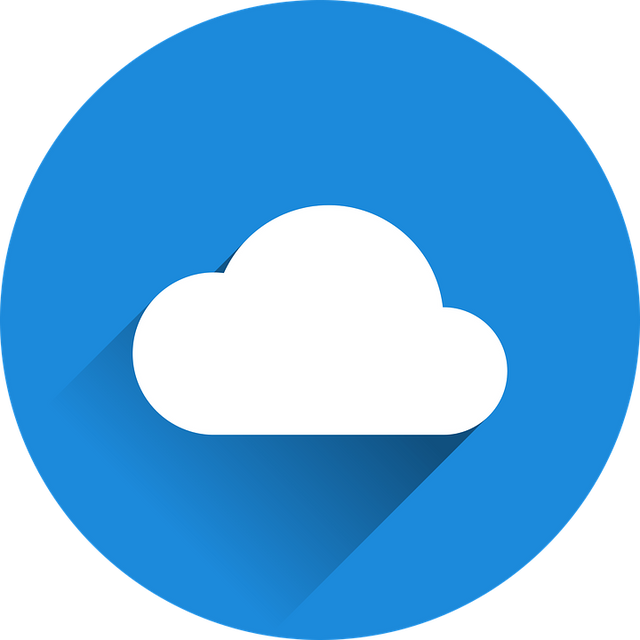 This assures users that they can disclose their opinions and thoughts. Debate websites are supposed to feel like "coming back to mom's house" for some. That's a great feeling for many and is a key reason for why people keep coming back to debate and discuss. Many crave to be heard. 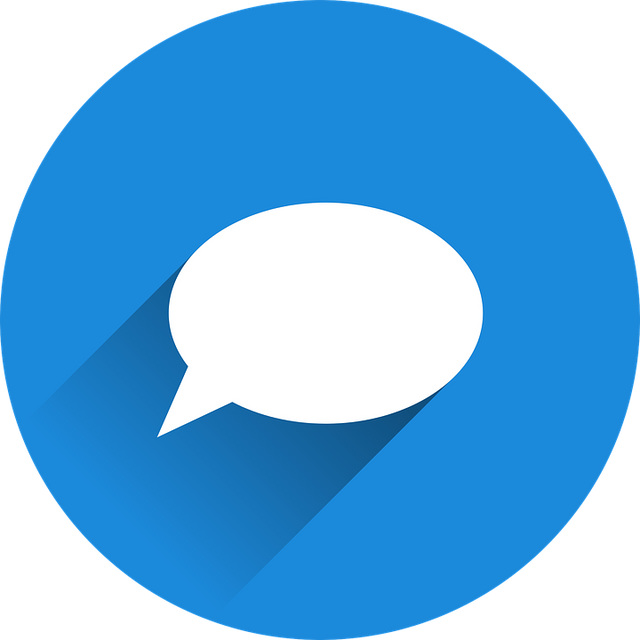 Forum and debate website users want to tell others their views, opinions, and share knowledge. Users want to hear other views, opinions and gain knowledge. That is a key driver to content-creation on many debate websites. For example, if you post a debate to share your view on a topic, you will often get responses from dozens of other users on DebateIsland. All these users will argue their view on the topic via a poll, "reactions", and arguments. Now, all these users have multiple satisfied cravings: to be heard, express their view/s on the topic, and hear other opinions. Facebook and Twitter are excellent social platforms, but debating with friends and family on controversial topics is often not a great idea as it strains relationships. What topics can I debate on this website, is it just politics? Definitely not just politics. You can debate anything, excluding NSFW, illegal activities, or hate speech. Many of our debates are indeed about politics, technology, religion, or TV shows. In fact you will find thousands of online debates on most interesting and controversial topics. We don't take sides on opinions expressed on this debate website - whether it's about Trump, Religion, or space. What are some of your most popular debates? You can always find our current hot debates on the DebateIsland.com Hot Debates page. Our climate change, conspiracy theories, and Atheists morals, and Earth is a ball debates have thousands of arguments. Can I moderate my own debate community? Absolutely. We offer both public and private communities. Learn more about it here. Can I participate in an online debate tournament? Sure. We launched our first online debate tournament in February 2018 and you can learn more here. How can I share debates and arguments on my social media accounts? It's really easy. Just use share buttons below any debate or argument and pick social media of your choice where you have an account. Can I signup for this debate website with my credentials from other social media websites? Sure. On our signup page, just select social media you prefer to use and DebateIsland will automatically use their credentials without exposing your password. It's one click. Can I be anonymous on this debate website? Many prefer to be anonymous, and some of our debate website users prefer to use their name. It's your choice. How do I vote on debates? Our formal debates have voting functionality in addition to the polls. The difference between polls and voting is that polls are anonymous and available for all debate types. Polls don't require an explanation. Voting is only available for formal debates after rounds are completed and use a 9 point system. We even have Debra A.I. Predict who will win using the same voting system. Is this debate website free? Can I help support DebateIsland.com? We always appreciate your support. You can donate or purchase premium membership to support our debate website. Please visit here to learn more. Is there a minimum age requirement for me to use this debate website? Yes. As per our terms and conditions you must be 13 years or older to use our debate website. Is there a list of formal resolutions (debate topics) I can debate online with others debaters? Sure, here are some Public Forum, LD, Policy, World Motion resolutions from the National Speech and Debate Association that are good choices to debate online. Resolved: Stricter enforcement of federal immigration laws is in the best interest of United States national security. Resolved: The United States should no longer pressure Israel to work toward a two-state solution. Resolved: In order to better respond to international conﬂicts, the United States should signiﬁcantly increase its military spending. Resolved: On balance, the beneﬁts of the Internet of Things outweigh the harms of decreased personal privacy. Resolved: On balance, a one-day national primary would be more beneﬁcial for the United States than our current presidential primary process. Resolved: To alleviate income inequality in the United States, increased spending on public infrastructure should be prioritized over increased spending on means-tested welfare programs. Resolved: On balance, standardized testing is beneﬁcial to K-12 education in the United States. Resolved: The beneﬁts of First Amendment protection of anonymous speech outweigh the harms. Resolved: Committing United States ground combat troops to ﬁght ISIL is in the best interest of the United States. Resolved: On balance, economic globalization beneﬁts worldwide poverty reduction. Resolved: For-proﬁt prisons in the United States should be banned. Resolved: On balance, the beneﬁts of genetically modiﬁed foods outweigh the harms. Resolved: On balance, public subsidies for professional athletic organizations in the United States beneﬁt their local communities. Resolved: Prioritizing economic development over environmental protection is in the best interest of the people of India. Resolved: The beneﬁts of American drone strikes against foreign targets outweigh the harms. Resolved: On balance, the rise of China is beneﬁcial to the interests of the United States. Resolved – Current U.S. foreign policy in the Middle East undermines our national security. Resolved: A democracy ought to require the separation of church and state. Resolved: In the United States, non-human animals ought to have legally protected rights. Resolved: In the United States, reporters ought to have the right to protect the identity of conﬁdential sources. Resolved: In the United States, workers ought to have a civil right to unionize. Resolved: Privileged individuals ought not appropriate the culture of a marginalized group. Resolved: The non-therapeutic use of human enhancement technologies is immoral. Resolved: The United States ought to limit qualiﬁed immunity for police ofﬁcers. Resolved: The United States ought to promote democracy in the Middle East. Resolved: In the United States criminal justice system, jury nulliﬁcation ought to be used in the face of perceived injustice. Resolved: Just governments ought to require that employers pay a living wage. Resolved: The “right to be forgotten” from Internet searches ought to be a civil right. Resolved: Developing countries should prioritize environmental protection over resource extraction when the two are in conﬂict. Resolved: In a democracy, voting ought to be compulsory. THW supports the creation of LGBT schools.